The Southern Hills Arts Council is proud to showcase the work of Richard Moore at The Markay Cultural Arts Center in Jackson, Ohio beginning September 29, 2016. Richard attended the Columbus College of Art and Design, and later graduated from Ohio Un iversity’s College of Communication with an interest in Visual Communication. 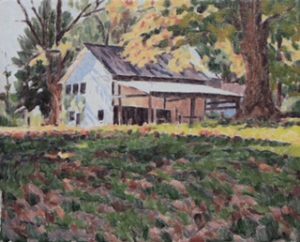 While working a job in multimedia, he rediscovered his joy of painting with a move toward plein air. Richard found the process influenced his studio work, and he continues to be excited by his discoveries. Join Mr. Moore and others for an Opening Reception at the Markay Cultural Arts Center Gallery on Thursday, September 29 at 7:00 p.m. The Markay is located at 269 E. Main Street in Jackson. 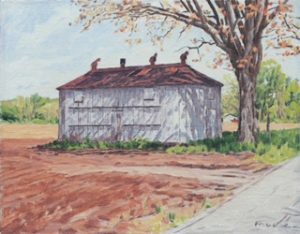 The Richard Moore Exhibit will be on display from Sept. 29 through Nov. 5. Regular Gallery hours are Wednesday through Friday-noon to 5 p.m., Sat. & Sun.-1:00 to 3:00 p.m. Call the Southern Hills Arts Council for more information at 740-286-6355 or visit online at www.southernhillsartscouncil.org.